In the opening scenes of Oz the Great and Powerful, director Sam Raimi’s pretty but rickety prequel to The Wizard of Oz, huckster stage magician Oscar Diggs (James Franco) is preparing for his show with traveling circus. The year is 1905. The place is Kansas, of course. And there’s a storm blowing in. It appears that Oscar — the ladies call him Oz — is something of a cad. He’s got a girl in every town, and he treats his earnest stage assistant Frank (Zach Braff) like a servant. When his one maybe-true-love Annie (Michelle Williams) implores him to be a good man, Oscar stares ruefully across darkening Kansas plains. He doesn’t want to be a good man. He wants to be a great man, like Harry Houdini or Thomas Edison. Oscar gets his chance when a tornado interrupts his latest getaway, via hot air balloon, and spirits him to the magical land of Oz. In a glorious 15-minute visual effect sequence that will get your blood racing (and your hopes up), director Raimi pulls out all the stops. As with the original Oz, he transitions from black-and-white to kaleidoscopic color, then opens up the frame as the picture gets wider and the 3-D effects kick in. Oz boasts gorgeous visuals throughout, with skillfully executed digital and practical effects and artful use of 3-D. Familiar sights like the Yellow Brick Road and the Emerald City pop with new texture. New fanciful locations, such as the porcelain village of China Town, evoke the wonder of the first film. All the prettiness is a welcome distraction as it becomes clear, during the movie’s middle passages, that our hero isn’t quite up to snuff. Franco is not a particularly likeable performer — he always seems a little bit above it all, a little too pleased with himself. It doesn’t help that his character here shares similar qualities. The story doesn’t give him much, either. Oscar is essentially a charlatan during his adventures in Oz. He agrees to pose as the great and powerful wizard and makes the acquaintance of three witch sisters — Theodora (Mila Kunis), Evanora (Rachel Weisz) and Glinda (Williams again). There’s a low-simmering seduction vibe in several scenes, and an awkward love quadrangle develops. It never really plays, and it feels too low-stakes for the epic fantasy storytelling. Our hero in the original Oz is a little girl who desperately wants to get back home. Our hero in the new Oz is a smarmy rogue who wants to get rich and score. 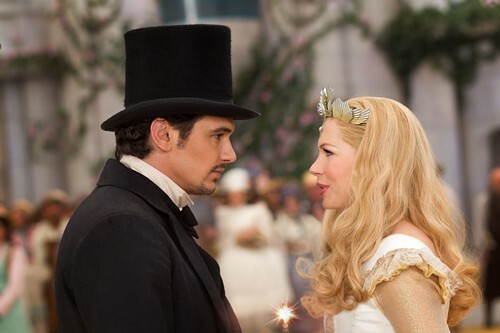 Oz the Great and Powerful picks up steam again toward the end, with some inventive storytelling twists that explain the world Dorothy will later discover. Oscar finds redemption and Raimi finally finds the heart the film so desperately needs. He also throws in some nifty stylistic flourishes that will be familiar to anyone who has seen his Evil Dead movies. And Mila Kunis really tears it up as the most interesting of the three witch sisters. She makes the movie’s most startling transformation, and provides its scariest scenes. I’d have liked to see the film follow her more closely, but I guess that story has already been told. Oz isn’t a terrible movie, but it finally disappoints. Like its lead actor, it’s very pretty to look at yet never inspires much confidence or affection. The images dazzle, but the story doesn’t linger. Director Michael Apted’s Up series is one of the most intriguing projects in the history of documentary film. Initiated in 1963, the series began with a profile of 14 British 7-year-olds from various walks of life. Every seven years since then, Apted—an assistant on the first film—has returned to interview the participants. Some have dropped out of the series. Some have dropped back in. A surprising number have returned every seven years to speak with Apted, on camera and at length, with admirable candor. In the eighth installment of the series, 56 Up, we catch up once again with some of these familiar faces—older now, heavier maybe, often sadder, usually wiser. Take Neil, the forever-troubled wanderer who has drifted on society’s outskirts since dropping out of school. In flashback sequences, we’re reminded that Neil was squatting in abandoned houses in 21 Up and entirely homeless at age 28. But now we find him serving as a lay minister and town council member in a small village. He’s troubled still, and lonely, but seems to have reached some approximation of peace. Two kids from the first film are profiled together. Suzy came from a wealthy background, and Nick started out in a one-room country school. Suzy would eventually forgo education to explore Paris, while Nick got a degree in physics from Oxford. At 56, both appear comfortable, and their accents are discernibly more posh than the others. The details roll by: Simon, raised in a children’s home, is now a happy family man and volunteers as a foster parent. Paul works as a handyman at a retirement community. 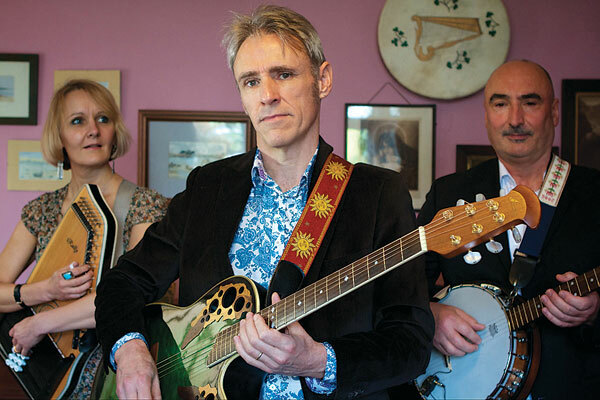 Peter plays in a folk band. Jackie has arthritis. You don’t need to be familiar with the previous films to appreciate 56 Up. Apted deftly weaves in clips from earlier installations, and the effect is that of watching someone age 50 years in 10 minutes. The juxtapositions can be moving: The frantic insecurity of the 14-year-old girl is now a quiet desperation behind the eyes. It’s sweet and sad at the same time. Like all good art, 56 Up provokes complicated feelings. When it began, the Up series was intended as an examination of the British class system, and of the Jesuit saying, “Give me a child until he is 7 and I will give you the man.” Viewers are invited to reflect on the adage with each particular case study, but the series has grown way past aphorisms. The film draws no conclusions, and perhaps it’s the participants themselves who have the ultimate vantage point. I think that’s right. The Up movies aren’t about the people they’re about—not really. They’re about aging and change and the passing of time. They’re about everybody. Director Elia Kazan’s classic 1954 drama On The Waterfront tells the story of dockworker Terry Malloy (Marlon Brando), a once-promising boxer whose life is derailed when he gets mixed up with mobbed-up labor union honchos on the NYC waterfront. As you may have heard, Terry coulda been a contender. 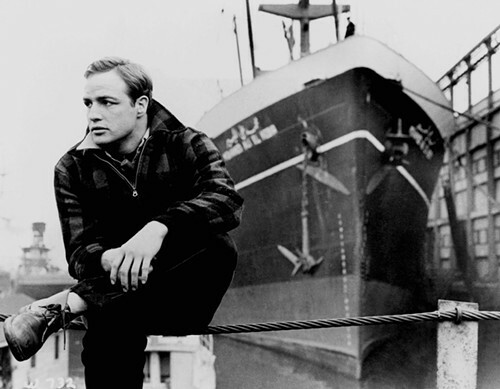 On The Waterfront is generally regarded as one of the greatest American films ever made and won eight Academy Awards in 1955, including Best Picture and Best Actor for Brando. New to DVD and Blu-ray this week, the Criterion Collection reissue of On The Waterfront features a new digital restoration and alternate presentations in the full-screen (1.33:1) and wide-screen (1.85:1) aspect ratios. Also included in the package are various interviews and commentary tracks reprised from previous DVD iterations, plus additional critical essays, a new making-of documentary and recent interviews with Martin Scorsese and Brando’s co-star Eva Marie Saint. Among the joys of digging into a reissue like this is gleaning insights from the bonus materials as to what makes a great movie work. To wit: The film’s script, we learn, was based on a series of investigative reports published in the New York Sun in 1949. In the postwar years, violent crime and corruption were running rampant among the docks and shipyards of New York City. Journalist Malcolm Johnson exposed the organized crime operation in a 24-part series called “Crime on the Waterfront,” and he remained obsessed with the situation for years. Grandma, Grandpa, you remember all this? The classic RPG has been resurrected yet again, for the touchscreen era, with “Baldur’s Gate: Enhanced Edition” (iPad; $9.99; rated 12+). Essentially a port of the original adventure game – with some additional tweaks, fixes and bonus adventures – the new “Baldur’s Gate” is an enjoyable stroll down the cobblestones of memory lane. Among the enhancements is a new tutorial mode that’s helpful for returning players, and essential for new ones. “Baldur’s Gate” was the last video game based on the old AD&D 2.0 rule set, an infamously weird and complicated system. Mastering it was (and is) a point of pride for a certain subset of dedicated RPG gamers. Dig into “Baldur’s Gate” and you’ll find the conceptual DNA of today’s state-of-the-art RPGs, such as the “Elder Scroll” or “Dragon Age” series. It begins with the delights of character creation. You start by choosing standard building blocks like race (elf, dwarf, etc.) class (fighter, mage, etc.) and weapon specializations (crossbow, katana).